What is Black Widow Strain? Black Widow Strain is a Sativa dominant hybrid. The buds are thick and abundant in resin, a true treat for marijuana connoisseurs. Black Widow marijuana is a highly potent strain delivers forceful cerebral high and was a champion of 1995 High Times Cannabis Cup. The onset is fast, highly intense and blissful, followed by laziness and couch lock. Black Widow Strain is best for evening and night time use due to sedative effect. black widow weed is a Sativa dominant hybrid that has won several awards including Number One at the 1995 High Times Cannabis Cup. The strain is known to produce the highest of highs giving users trippy feelings of euphoric bliss. The strain retains its Indica heritage imparting a mild body high that can leave one stuck to the couch. Along with dry eyes and mouth, some users experience dizziness, paranoia, and minor headaches. The effect of consuming Black Widow are a Happy, Euphoric, Uplifted with being Relaxed, Creative. Evening use recommended or Daytime for some individuals. 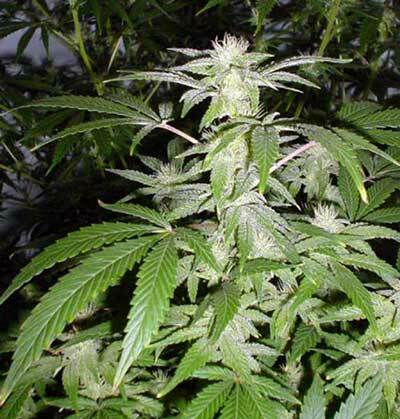 The Black Widow marijuana plant is perfect for beginners and is very easy to grow. The plants can grow in any growing medium from hydro to soil. And also, work well with the SCROG method. Black Widow can also be grown indoors or outdoors with great success. The yield varies from 300- 400 grams per plant on average. Grow to a height of three to six feet or 1-2 meters tall. When the Black Widow buds into flowering the process takes around eight to nine weeks. When growing Black Widow outdoors, the plants are usually ready around the end of September or early October for the Northern hemisphere. In the Southern Hemisphere, late spring. The temperatures for the plant are suitable for mild temperature areas. Height: 3 feet tall indoors, reaching 6 feet tall outside.